This week we had the pleasure of sitting down with Claire Canning who is on a three-year industrial placement at EDF Energy's Research and Development centre (R&D UK). In this interview, Claire gives her unique insight on working at both land and sea. What made you opt to study an Engieering Doctorate? I have always had a keen interest in offshore and marine renewable energy technologies and how they interact with the environment. Having achieved a BSc in Marine and Environmental Biology and an MSc in Conservation and Biodiversity, I am now working towards my Engineering Doctorate (EngD) in Offshore Renewable Energy. My enjoyment at being hands-on led me to choose The Industrial Doctoral Centre for Offshore Renewable Energy (IDCORE) a four-year programme which can be considered a more industry orientated alternative to a PhD. My first year was based at the University of Edinburgh, with the remaining three years based at a sponsoring company, in my case, EDF Energy R&D UK, where I’ve been since 2014. Embarking on an EngD has been a steep learning curve for me, my degrees weren’t routed in engineering but, the experience at both university and EDF Energy R&D UK, has been invaluable. What is the subject of your EngD? The subject of my EngD focuses on corrosion and biofouling of offshore wind monopile foundations, an area of focus for the EDF Energy R&D UK team as they look at creating efficiencies in renewable technologies. Corrosion is the deterioration of a material as a result of chemical reactions with its environment. It is a significant problem for offshore infrastructure and therefore a key issue for the offshore wind industry. My research project combines laboratory experiments with in-situ monopile trials at Teesside Offshore Wind Farm to understand and predict how the conditions inside foundations may be influencing the corrosion of the internal steel surface and how this may affect the lifetime of the structures. The development of an empirical model using lab and field data will help to determine if the structures will fulfil their 25-year operational life. It can also be used for any future offshore wind developments using the same foundations. Another focus of my research is biofouling, the unwanted accumulation of biological material on man-made structures, and how it may impact the long-term structural integrity of the wind turbine foundations. Figure 2: Underwater footage snapshots of biofouling accumulation at 5.6m and 13.9m depth on foundation components at Teesside Offshore Wind Farm. 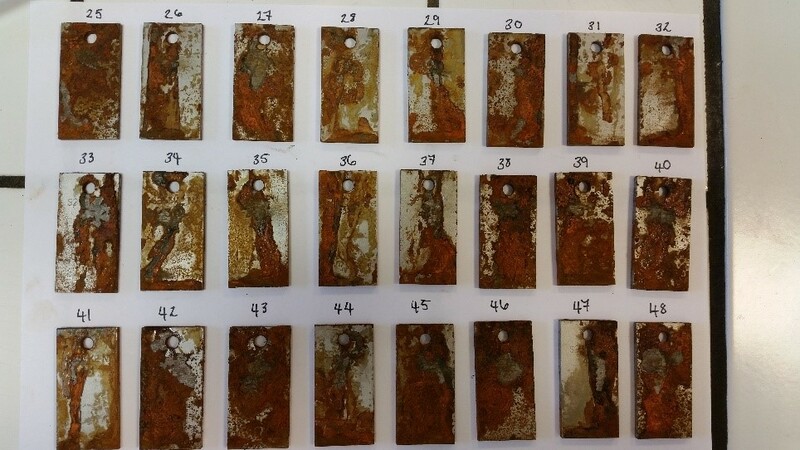 We use 3D mapping and image analysis to assess the characteristics of biofouling such as thickness and roughness. The results of the assessments will be used to determine any additional hydrodynamic loading on the foundations as a result of biofouling. This forms part of an extensive structural integrity assessment by EDF R&D in France. Essentially, from corrosion to biofouling we can now predict the life of an offshore wind turbine. Was there more to your placement than just your reseach and studies? ​"R&D helped to build my confidence and made me feel like a valued member of the team"
An EngD can be very challenging at times and I have encountered a few roadblocks along the way. However, I have always been able to count on the team at EDF Energy for help and guidance. In fact, my colleagues at EDF Energy and IDCORE have provided a tremendous amount of support throughout the last four years. I have been fortunate enough to present my research at various workshops and across the world including Germany, France and Canada. I also got to use my passion and skills to help inspire the next generation. I was asked to participate in the Pretty Curious programme which aims to change the perception of STEM subjects and address why more young girls do not pursue these subjects at higher education. 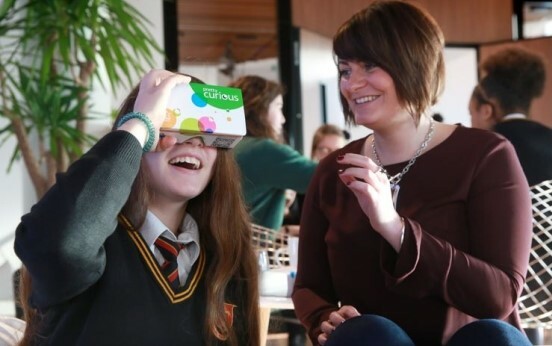 I attended a series of workshops around the UK, meeting over 1000 girls and their teachers, showcased my career in a 360-virtual reality film and acted as role model to help show today’s teens the exciting opportunities and careers that are possible through studying STEM subjects. 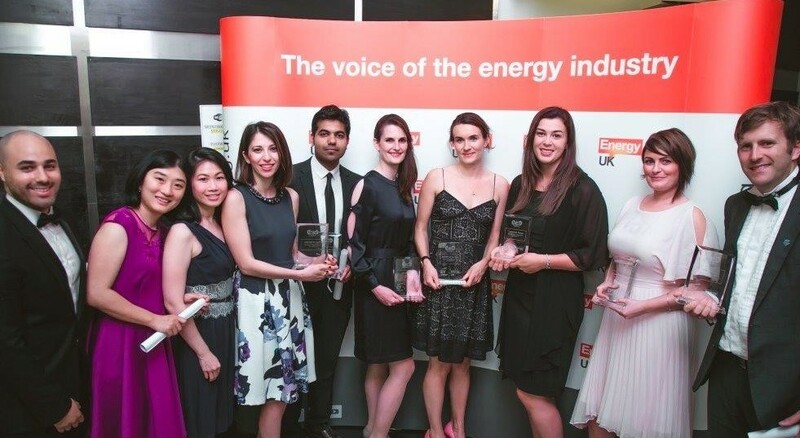 I was extremely honoured to be the winner of the Academic Achievement award at the Young Energy Professionals (YEP) Forum Awards in July 2017, after being nominated by EDF Energy for my research. What do the next few years have in store? As for what is next, one of the best parts of the EngD, is knowing that my research is helping to support and improve the development of offshore wind. This is something I feel passionate about and so whatever I do in the future, I want to ensure it involves working collaboratively towards a future with cleaner low carbon energy. 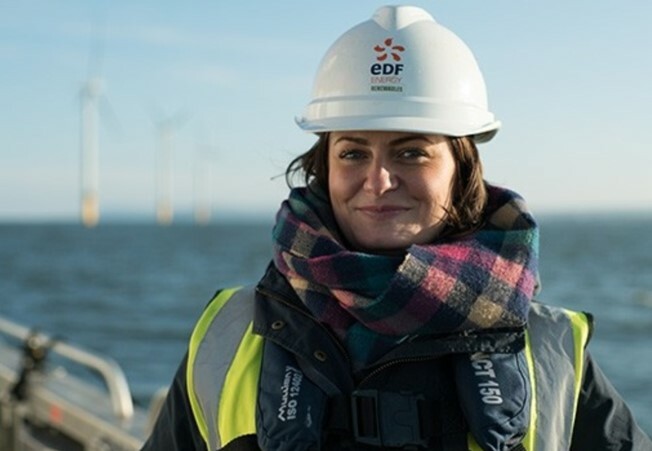 If you want to find out more about EDF Energy Renewables and their efforts by Claire and the R&D UK team to provide low carbon energy to the UK, visit the EDF Energy Renewables and EDF Energy R&D UK. EDF Energy R&D UK is a centre of technical excellence whose main purpose is helping to build a brighter energy future for the UK. The EDF Energy R&D UK team is excited to announce the launch of the ground-breaking Local Energy Oxfordshire (LEO) project.